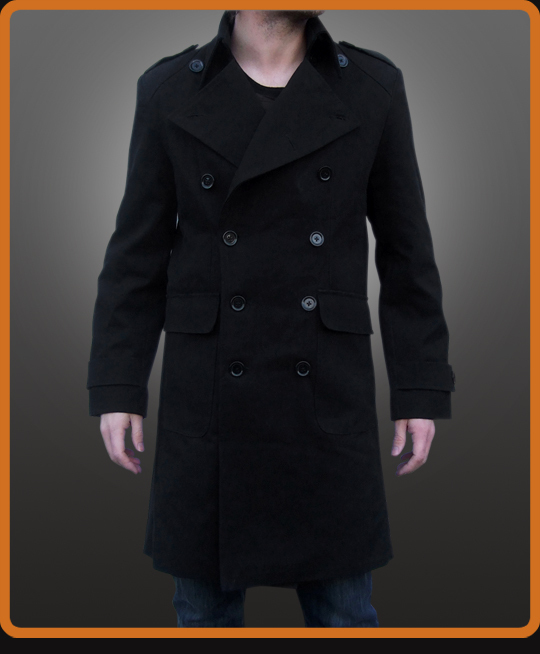 Double breasted mens pea coat. Unique style with exaggerated collar and shoulder epaulettes. Knee length. Black cotton.